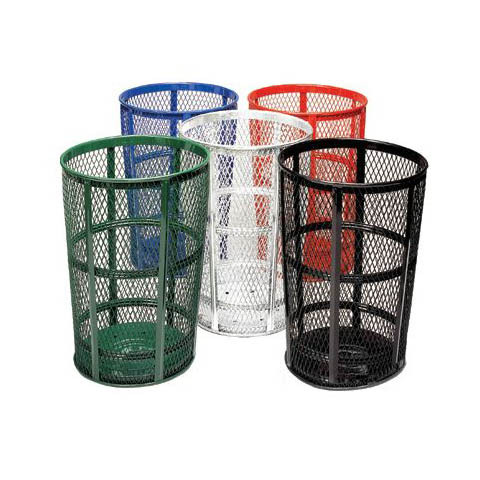 This round 48 gallon expanded metal basket trash receptacle is available in either hot dipped galvanized or powder coated design. Features a dome top, vertical ribs for reinforcement, and a see through mesh design. This corrosion resistant galvanized trash receptacle can withstand harsh environments. Can be used with or without a liner. Includes dome top, liner, and receptacle.